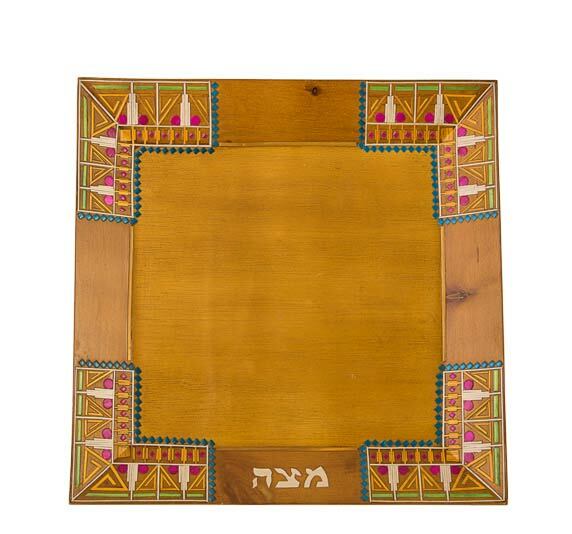 Light Wood Matzah plate decorated with colorful straws. Made in Colombia. size 10.5" Square.